i think we are done with the snow for this week...and possibly for this winter. we do play tomorrow. set alarms. 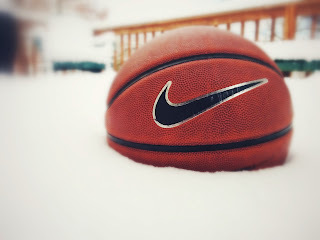 right now, stuff has not been cancelled for tomorrow morning, but check back here this evening before you get your sleep on to see what the status is for hoops in the morning. despite school closures, our parking lots are clear. no problems for hoops. barring any surprise winter weathers tonight, we'll play tomorrow morning. i know i'll need the exercise. NO HOOPS tomorrow! stay home! sleep in! turn off the alarm. roll back over. see you on friday...for now. so, pete informed me that policy is when the church operations are closed that hoops is included. you should ingore my previous message and stay tuned for official word on whether or not hoops tomorrow is happening or not. i am planning on opening things up in the morning like usual. i realize there might be continued freezing tonight even if most of the roads are clear, so use your best judgment. i know ice and snow are in the forecast for tomorrow, but i will be there in the morning like normal. i didn't have a video for wednesday. you might have wanted a video...or needed one. and i will see you all tomorrow morning. no video today but feel free to go back through the archives and watch some older episodes. ready for a jam-free weekend? did your team win? well, you won't know until you come out to play tomorrow morning. what? you thought i meant football? pffft. hoops is where it is.